Packed with antioxidants like lutein and beta carotene, avocados help soften the skin as well as hydrate it if applied topically. You can use a moisturising mask of avocado with 1 teaspoon honey to reap the benefits of this super fruit. You’ll feel the difference instantly! 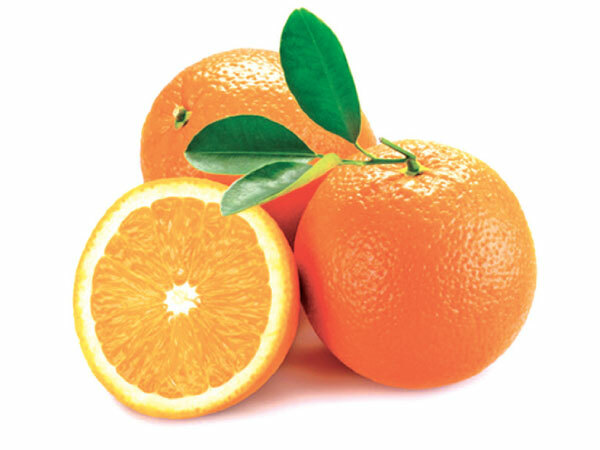 “The peel of the orange, actually contains more vitamin C than the orange itself. The peel contains antimicrobial and antibacterial properties so using it regularly in face packs will give you clear and brighter skin in no time. All you need is 1 tablespoon of orange peel powder and 2 tablespoon of yoghurt to do the trick. You can also add 1 tablespoon of sandalwood powder and 1 tablespoon of walnut powder to 1 tablespoon of orange peel powder with a few drops of lemon juice and rose water to get bright skin. 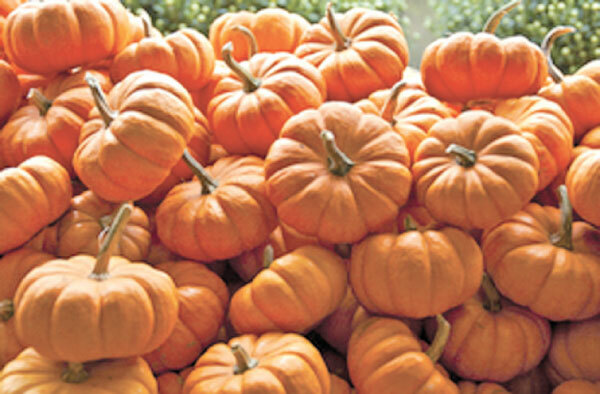 Pumpkins have it all - antioxidants, vitamins (A and C) and minerals. Pumpkins are rich in zinc which is vital in the creation of new skin cells, and also helps regulate oil production, improve skin tone and reduce the appearance of open pores. All you have to do is eat a handful of pumpkin seeds to brighten your complexion and get the glow you’ve always wanted. You can also apply a DIY face mask of 3 teaspoons pumpkin, ½ teaspoon honey and ½ teaspoon milk for 15-20 minutes. “Tomatoes are packed with natural vitamins and minerals, including Vitamin A, K, B1, B3, B5, B6, B7, and vitamin C. ”, But what makes tomatoes stand out in the beauty world, is lycopene, an antioxidant which has amazing anti-ageing properties. You can apply the pulp or juice of tomatoes on your skin to activate the lycopene benefits. 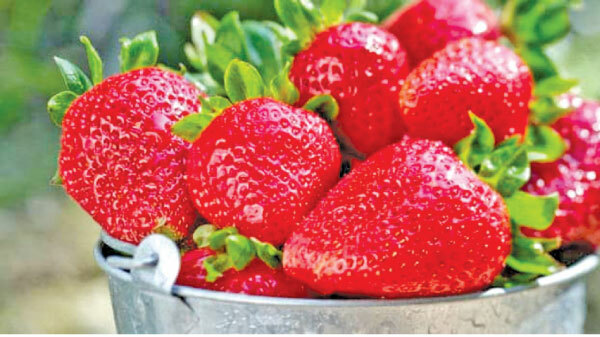 Being rich in alpha-hydroxyl acid, strawberries help get rid of dead skin cells. Strawberries also boost up collagen production, minimise fine line and wrinkles due to the presence of vitamin C. Also, omega-3 fatty acids present in strawberries help lighten the skin tone. Wondering how to reap the benefits of this wonder fruit? Add 1 tablespoon cocoa powder and 1 tablespoon honey to mashed strawberries and apply on your face for 15 minutes to get glowing skin. This pink coloured fruit comes loaded with vitamins and minerals which make you glow instantaneously. Its anti-inflammatory property prevents outburst of acne and pimples. Just applying beetroot juice as a face mask gives your complexion a pinkish tinge and a radiant look. 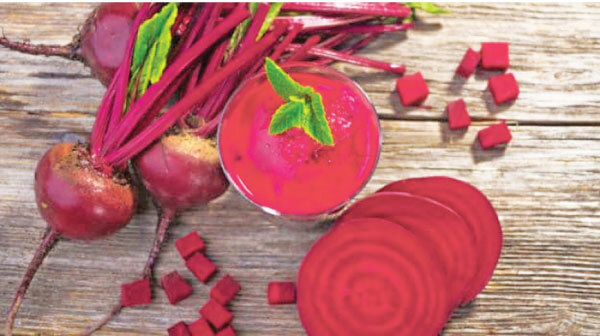 You can also drink a glass of beetroot juice to purify the blood from within and cleanse the toxins. Carrots are a powerhouse for glowing skin due to a large amount of beta carotene that helps prevent the degeneration of cells, slows aging and makes your skin glow. 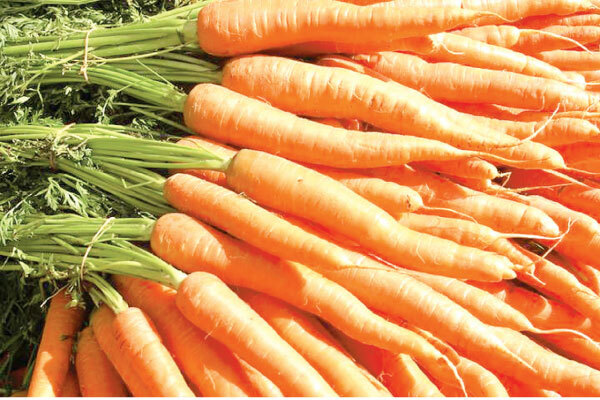 The vitamin A found in carrot juice also helps keep body tissue, eyes, bones and teeth healthy. Carrots also have a large amount of vitamin C.
Potato works as a natural bleaching agent and hence can be used for skin lightening. All you have to do is apply a face mask of grated potatoes on your face for around 30 minutes. 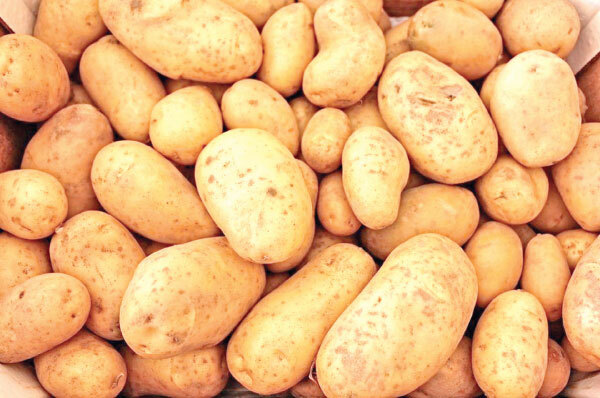 Potato also helps get rid of dead skin cells, sunburns, dark spots, blemishes and dark circles. You can simply squeeze the juice of a potato in a bowl and use it on your face or apply thin slices of potato directly. Kale may be the king of all greens, but it’s certainly the queen of beauty too. Kale is loaded with vitamin C, vitamin A and vitamin K which help repair skin tissues, prevent free radical damage and give you a radiant and fresh look. 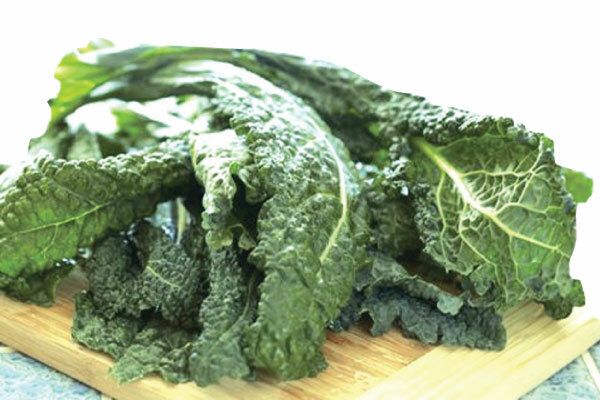 Drink up a kale smoothie or add it to salads or pasta or enjoy it as an air-cooked healthy snack in place of potato chips! Lemons are packed with vitamin C, vitamin B and phosphorous - an amazing food to make your skin glow. 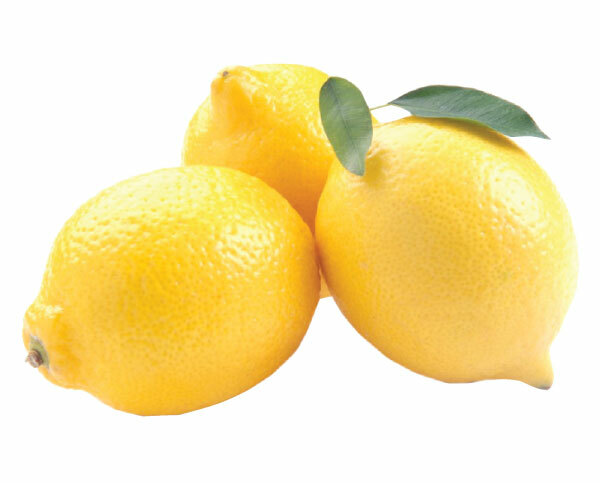 The natural acids of lemon gently remove dead skin cells and lighten age spots. Lemon cleans the pores without stripping the skin of its natural oil balance since it contains citric acid in high amounts. Mix a spoon of lemon juice with egg white and grape juice extract to make your skin smooth and glowing, or squeeze out just some fresh lemon juice and use it on the affected area to get flawless skin. We saved the best for last, indeed.